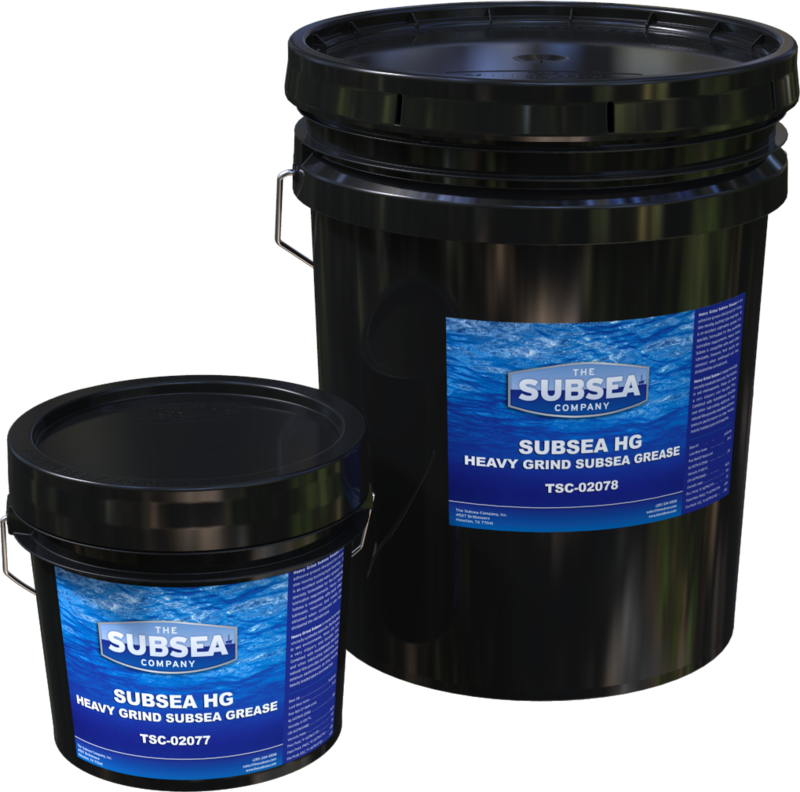 Subsea HG Heavy Grind Grease is a high performance, wet-duty grease, noted for its tenacious cohesive and adhesive properties. The unique combination of high viscosity base oils allows for lower temperature applications while producing a slippery water proof film over metal surfaces. Molybdenum disulfide and other lubricating solids minimize wear, ensuring dependable protection against sustained or sudden extreme loads. Subsea HG provides exceptional film strength, shear resistance, adhesion properties and mechanical stability, particularly suited for slow moving gears and bearings subjected to heavy loads, shock and vibration.